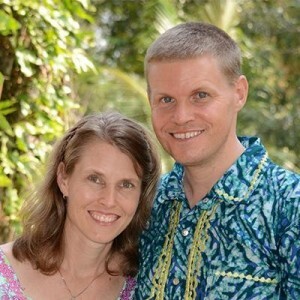 Change is in the wind for the missionary couple that our congregation supports monthly, Bob & Kristi Rice. Please read about these changes below so you can support them in prayer as we also (as a church) support them financially. Kananga in Congo next week. Watch a 14 minute video of us first sharing the update of our change. 1. Thanks for answered prayer regarding discernment in this call to South Sudan. 2. Safe travel to Rwanda, Congo, and South Sudan. 3. Peace in the Kasai region of Congo, and also in South Sudan. 4. Language learning in South Sudan - for facility in learning and a good language helper. 5. An end to the famine in South Sudan. We leave in just two weeks, so are busy with preparations and packing. We really appreciate your prayers during this challenging period of transition and adjustment. We love to hear from you! If you ever have any questions or want to share any thoughts with us, please just let us know. We pray for God to meet you in a fresh way in this season of Lent and Easter. We celebrate the hope we have in our Risen Savior, and pray that all may know the hope and life that Jesus wants for us.